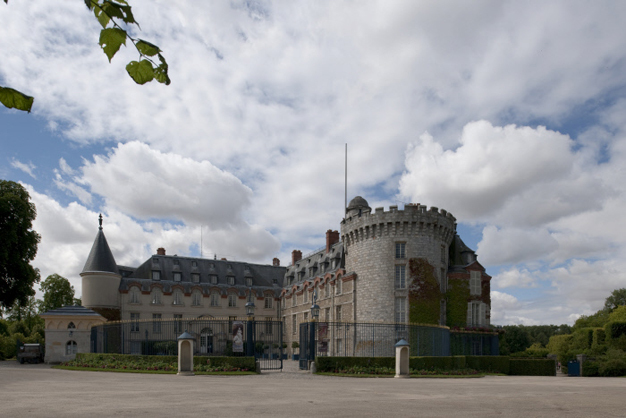 In November 1804, Napoleon I set eyes for the first time on the Château de Rambouillet, inscribed on the civil list of royal residencies since the reign of King Louis XVI. After several years left deserted after the French Revolution, the château fell into a sorry state of disrepair as seen by the emperor at his first visit and highlighted in the illustration below. A renovations programme was swiftly undertaken to improve many features on the outside of this long-standing medieval residence. • The main entrance was entirely redesigned: the new principal staircase led on one side to the empress’ apartments and on the other side to those of the emperor. • The rooms were updated to the tastes of the time, in particular the courtyard-side apartment (the small apartment once occupied by Marie-Antoinette) that was redecorated in a sumptuous neoclassical style. A bathroom was installed in the emperor’s apartment. It is still there today and is a magnificent example of neoclassical painted décor by the artist Godard. 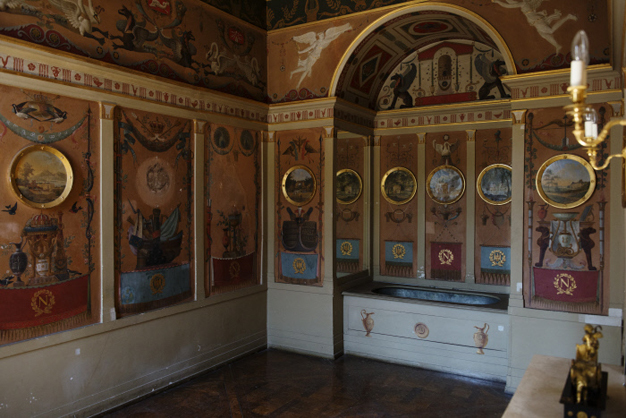 The somewhat small room contains an alcove housing the original bath tub used by the emperor. In keeping with the fashion of the time, the decoration was inspired by antiquity and featured Glories, Apollo’s lyre, a frieze of triglyphs and metopes, horns of plenty and mythological creatures. It also contained numerous symbols of the regime (an “N”, an eagle surrounded by a laurel wreath, bees) and the depiction of imperial acts (constitution, cross of the legion of honour and other symbols). The ensemble is completed with medallions painted by the artist Jean Vasserot. Originally the medallions showed members of the imperial family, but the emperor found this unseemly and ordered the artist to alter the design. 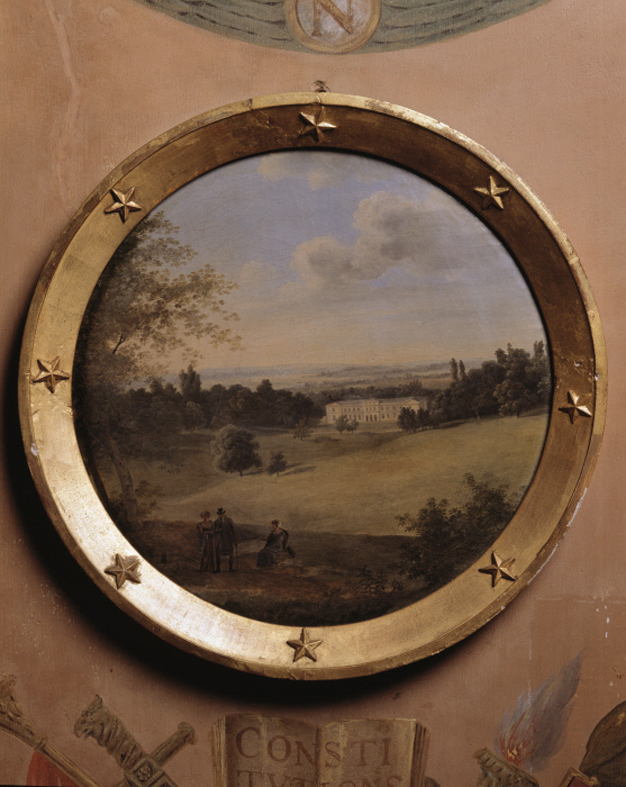 The medallions were then painted with views of different places, châteaux and monuments that had some connection with these family members, providing a way to identify them without showing their actual portraits. Much attached to this royal palace, Napoleon I commissioned many improvements, not giving a second thought to irreversibly transforming the appearance of this historic royal residence. The emperor spent one final night at the property on 29 June 1815 before his exile.